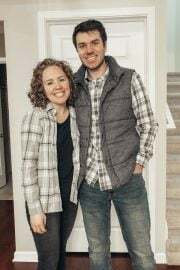 2016 was our BEST year yet! 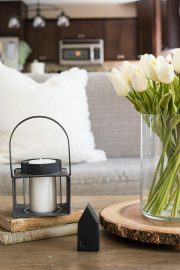 I have been overwhelmed with thankfulness for the support I have received – for the comments, likes, shares, e-mails, and for the reader’s who give life to my blog by coming back continually and sharing it with people they know! I would have never thought that my tiny little blog would grow into something I am so passionate about – and into my full time job! As I look back over the success we’d had, I don’t want that success to be attributed to me, but to Him. God is the story teller and I am just the writer, and while I might not mention Him in every blog post, He is the breath behind the creativity. 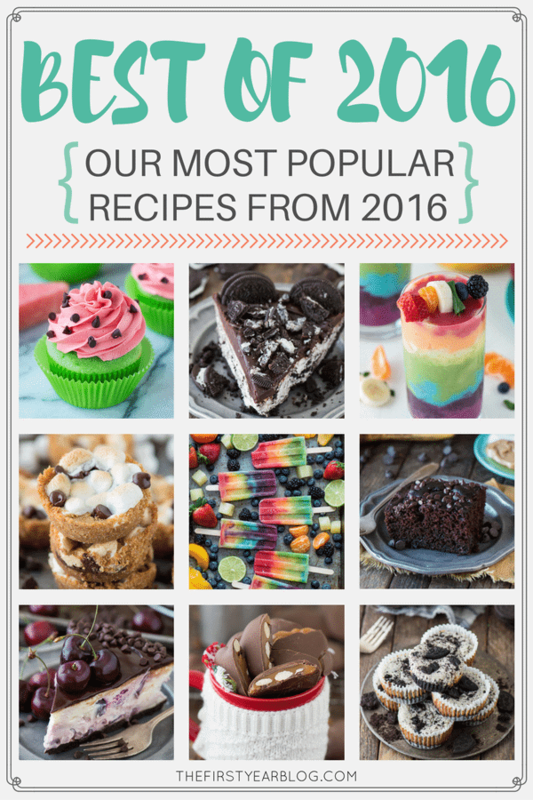 Here is a round up of our most popular recipes from 2016! 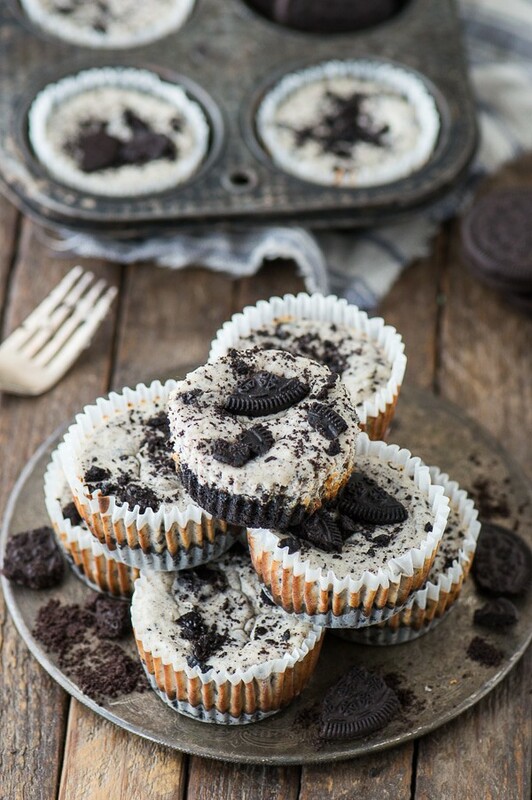 Mini Oreo Cheesecakes | Making individual cheesecakes in a muffin pan is an awesome way to get all of that delicious cheesecake flavor without the time commitment and water bath that larger cheesecakes require. 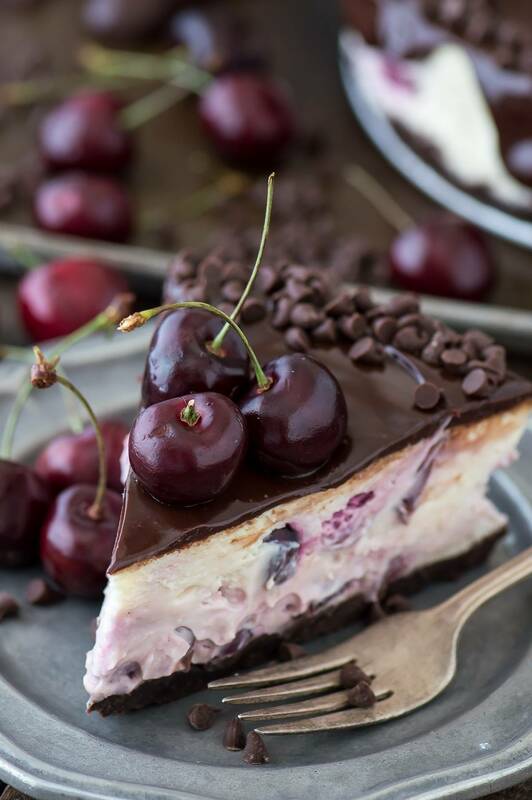 Plus when you make mini cheesecakes you don’t have to worry about your cheesecake cracking or sinking in the center – thumbs up!! Rainbow Popsicles | And the most beautiful thing I have ever made/photographed was born. 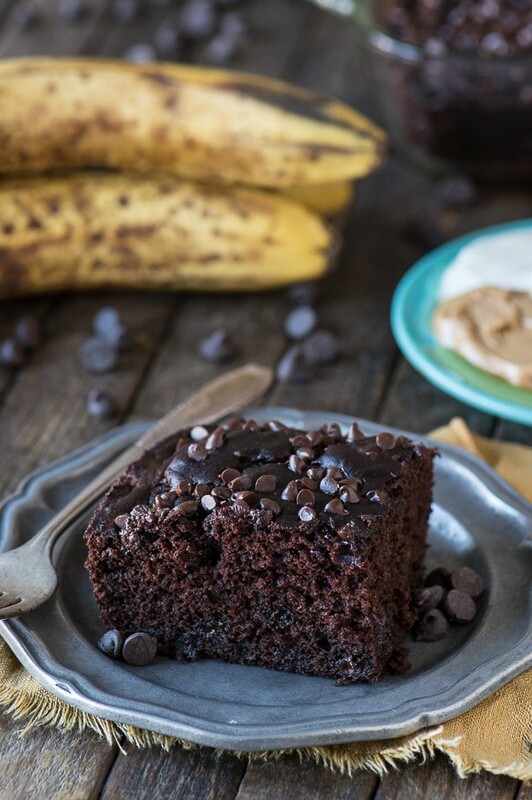 Healthier Chocolate Cake | After I baked up this awesome chocolate cake, I was bragging to Ryan that it didn’t have any sugar, but that it’s sweetened by bananas and honey, but being the chemist he is, he totally called me out and said that honey is sugar. Well yeah.. but it’s more natural sugar I replied, and then he ate like 4 pieces of this cake. Booyah, honey for the win! 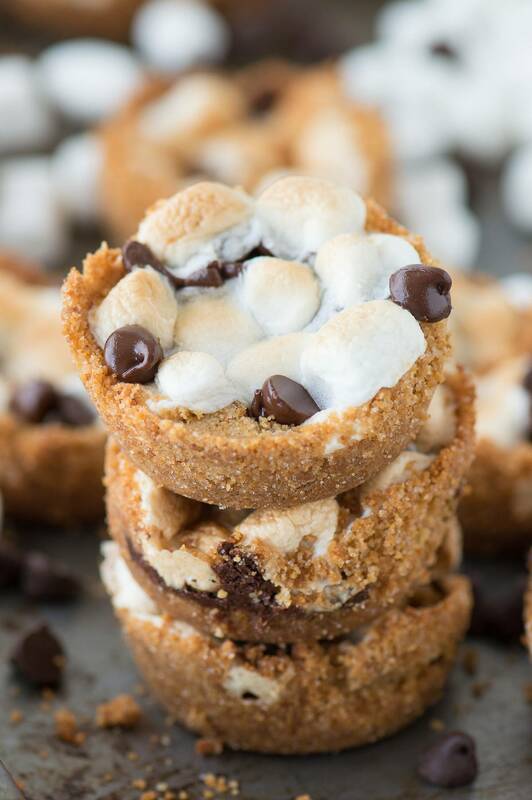 S’mores Cups | If you’re looking for an indoor s’more recipe that is easy and fast to make AND can feed a crowd – scroll down and get that recipe! 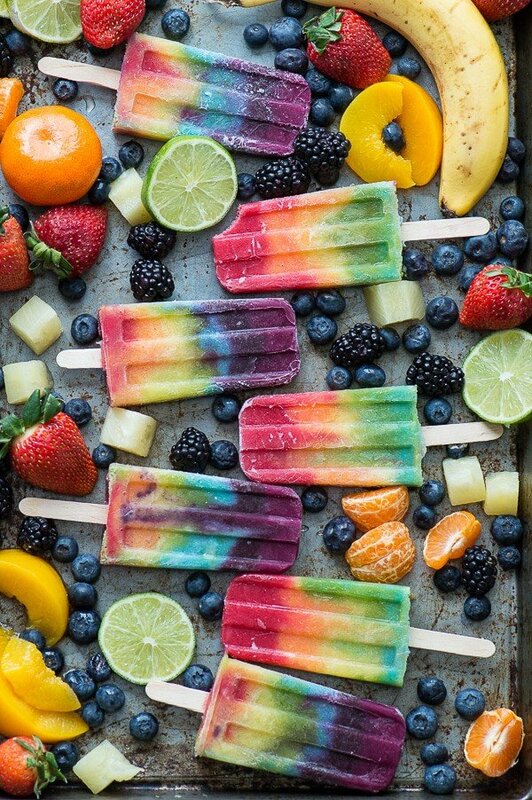 Rainbow Smoothie | This rainbow smoothie and the rain popsicles are sisters. 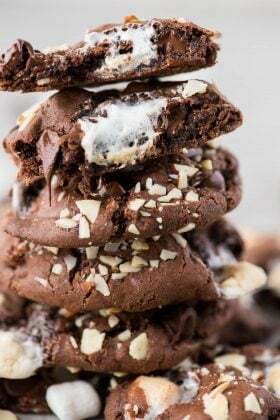 One recipe – 2 different ways to prepare it. 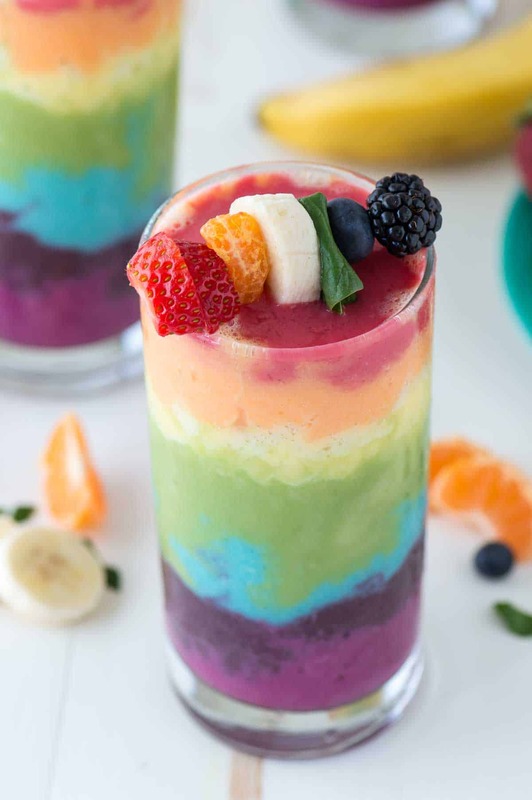 I wouldn’t call this your average breakfast smoothie, I mean it does have 7 layers, but it’s the type of smoothie that would be perfect for special occasions like birthdays or st. patrick’s day! 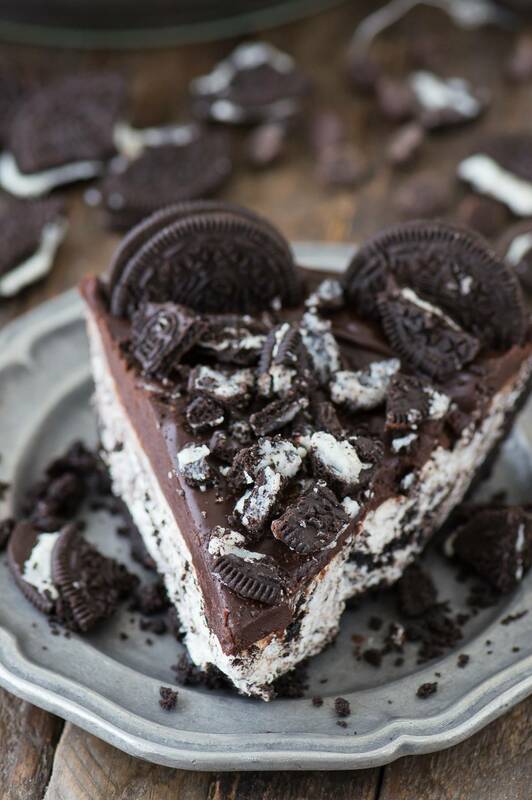 No Bake Oreo Pie | The question is.. is there such a thing as too many oreos? I think not. 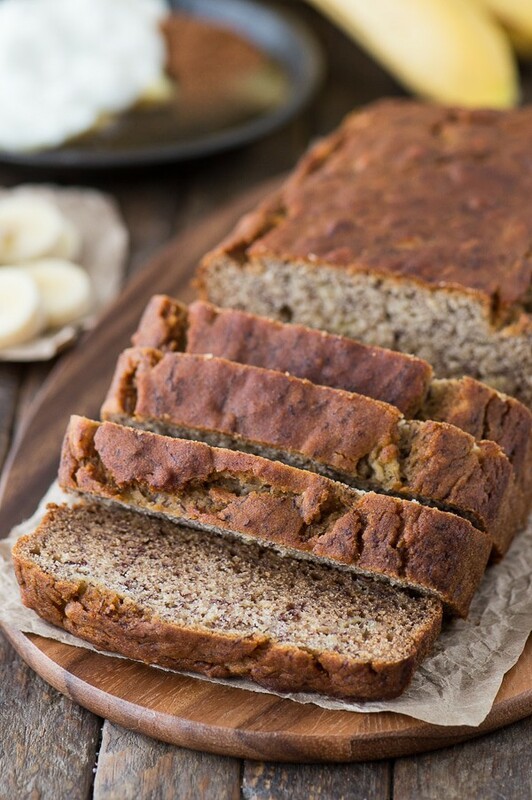 Healthier Banana Bread | The best healthier banana bread, at a 120 calories a slice. 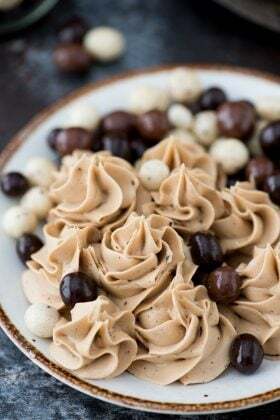 Sticky Paws | Williams Sonoma Copycat christmas candy recipe! 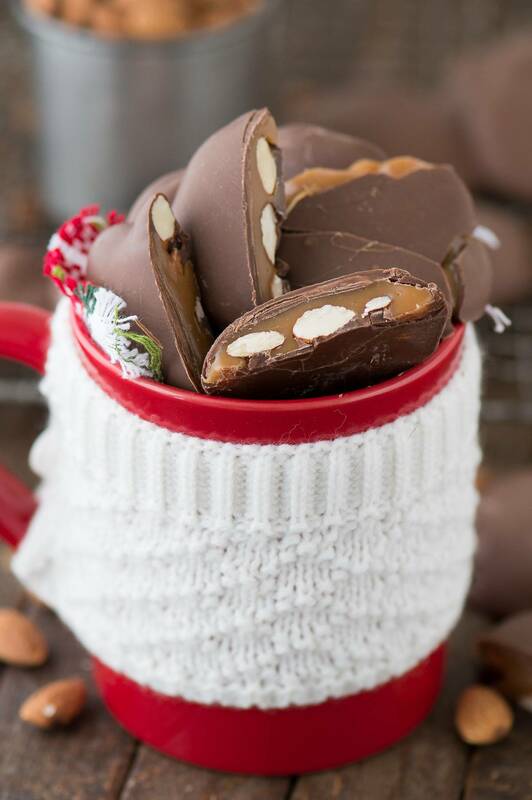 Almond caramel clusters dipped in chocolate. 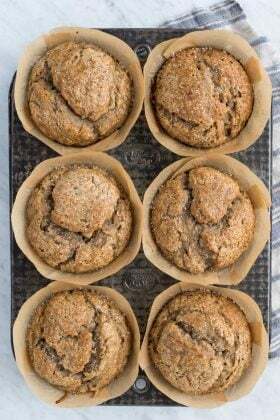 Make these at home for a fraction of the price! 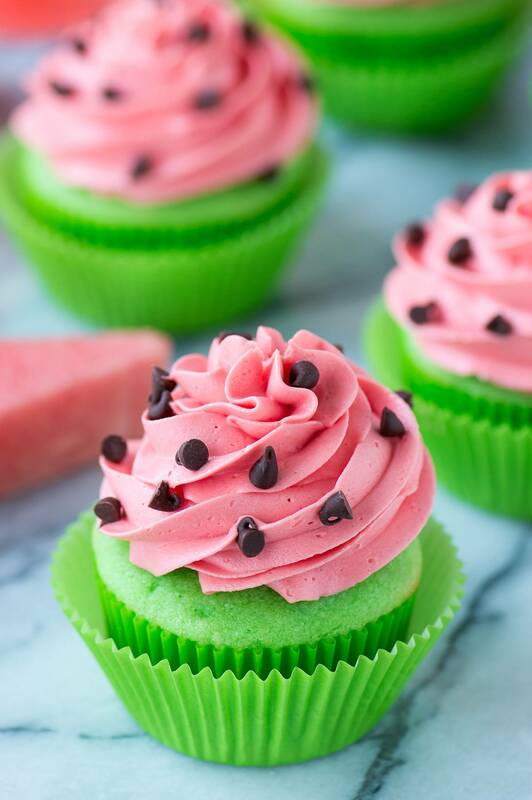 Watermelon Cupcakes | Kool aid has just revolutionized my buttercream. 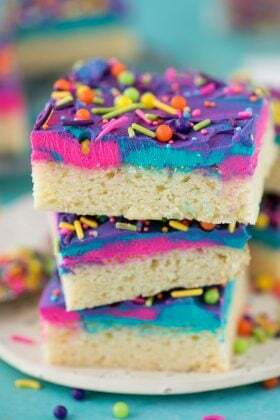 You can take any flavor of powdered kool aid and add it to buttercream and voila – buttercream that tastes like watermelon, mango, pink lemonade, kiwi-lime! The flavors seem endless! 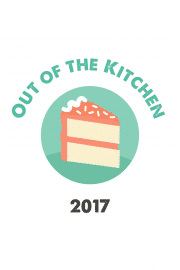 See our entire recipe index here.